You’ve probably heard there are no shortcuts when it comes to growing your wealth. Hard work, patience, and discipline pay off in the long run. Hopefully you know me well enough to understand that I’m all for hard work, patience and discipline. But today, I want to tell you about one shortcut that actually can help you build your wealth more quickly. 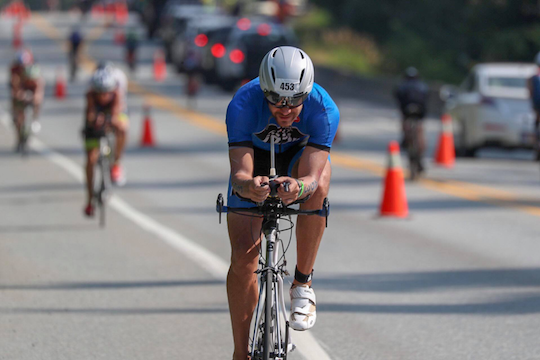 I was thinking about this shortcut this past weekend because I took a similar shortcut in the Whistler Ironman triathlon that I was competing in. If you want to finish an Ironman triathlon, you have to look for ways to conserve energy. 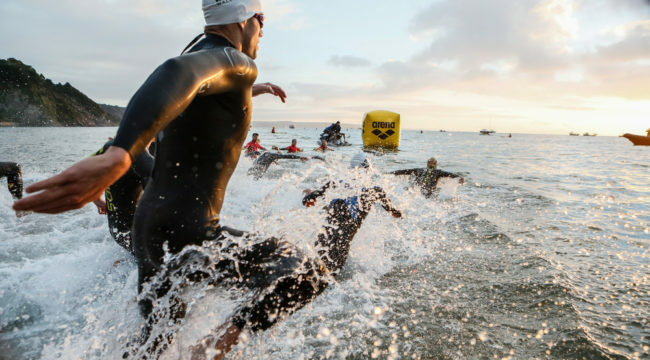 After all, the race consists of a 2.4 mile swim, a 112 mile bike and a 26.2 mile run. We started the swim just after 6:00 AM on Sunday and I felt strong as the event began. About halfway through the course, I made a turn around a buoy and noticed another swimmer next to me. He was a large guy and he happened to be moving about the same speed as me. I immediately recognized this as an opportunity to save some energy for later. As each swimmer glides through the water, he or she creates a small current in the water behind. So if you swim in the path immediately behind another athlete, you can actually get swept along within that current. While not allowed on the bike course, it’s perfectly legal to “draft” behind other swimmers. This drafting allowed me to keep moving at a quick pace while putting a lot less effort into my stroke. And that allowed me to save strength that I would desperately need on the bike and run course. I had to laugh when I felt another swimmer tap my feet with his hands a few minutes later. We were now both swimming in the current created by this athlete. So now two of us were getting a little bit of a break while making this poor guy do all of the work! Drafting in the clear alpine lake reminded me of how stocks often move in a trend or “current.” These currents are driven by the buy and sell decisions of the biggest institutional investors. Just like I was able to slip behind the swimmer in the lake — and get his current to pull me through the water — investors can slip behind these institutional investors and ride the trends in the market. You see, when there are large buy orders for a stock, the price naturally moves higher. That’s because there are only so many people willing to sell at today’s price. So the more shares an institution wants to buy, the more they’ll have to pay to convince other shareholders to sell. If you pay attention, you can see this happening in the market. The best way to spot this action is to look for a stock that is moving higher while its volume is increasing at the same time. Institutions have to buy many shares for a position to make a difference in their account. Often we’re talking about millions of shares. And since these institutions are buying such big blocks of stock, it can take them days, weeks, or even months to build a full position. That’s where the “current” comes in to play. As these investors build their positions, stocks naturally rise. And if you spot it in time, you can jump in and buy your own shares. Since you’re an individual investor, you can get a position bought quickly — without needing to take weeks to get enough shares to matter. Then, once you own your shares, the institutional investors will continue to build their positions, driving the stock price higher while you hold your position. This “drafting” strategy is a perfectly legal and effective way to accelerate your wealth building in the stock market. And it’s a fundamental strategy that I’ve used throughout my career to pull MILLIONS of dollars from the stock market for clients. All by riding the currents established by institutional investors! And this is a strategy that you can also take advantage of… If you know where to look, of course. For more on this strategy and the newest stocks that institutional investors are currently buying hand over fist, click here. And the next time you’re thinking about adding a stock to your investment account, remember to swim with the current and look carefully for one of these trends with higher volume. P.S. This “drafting” strategy is so powerful that Wall Street has its own special machines reporting these insights DAILY to its traders. That could give you the chance to walk away with $16,209 on average every week! But it won’t last long… After all, do you think the Wall Street Elite want the “Average Joe” on Main Street to have access to their secrets?